Brewton Plante, P.A. offers its clients expertise associated with more than 80 years of combined legal practice. 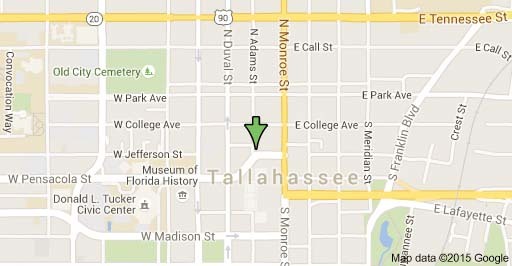 Located at the heart of Tallahassee just steps from the Capitol Building, Brewton Plante, P.A. provides its clients with a broad spectrum of legal services, including Administrative Law, Corporate Law, Appellate Law, and Government Relations. Brewton Plante, PA.’s esteemed reputation stems from its team’s in-depth knowledge, exceptional service and proven track record. Brewton Plante, P.A. recognizes the importance of tailoring each strategy to meet the needs of each unique client and is committed to creating innovative strategies to help its clients achieve their objectives, no matter how complex the legal issue. Whether you are looking for legal services or government relations representation., Brewton Plante, P.A. is the full-service firm for all your legal needs. With the firm located just steps from the State Capitol, Brewton Plante, P.A. is able to efficiently represent its clients' interests before the State Legislature and the Executive Branch of state government. Through all stages of business strategy and development, we work with clients to address issues associated with the formation and operation of for-profit and no-for-profit organizations. Brewton Plante, P.A. 's governmental affairs team has been involved in major legislative issues in Florida for the past 40 years. Effective August 21, 2017, Brewton Plante, P.A. is moving their offices to the SunTrust Bank Building, located at 215 South Monroe Street, Suite 825, Tallahassee, FL 32301.